Judy Hanson of Hayward, WI and recently of Owatonna, MN, died peacefully at Homestead Hospice on Friday, November 23, 2018. Mass of Christian Burial will take place at 11:00 a.m. at St. Joseph Catholic Church in Hayward on Saturday, December 1, 2018 with Fr. Gerard Willger as the officiant. Friends may greet the family at 10:00 a.m. prior to the funeral at church. Interment at Greenwood Cemetery in Hayward will follow the service. Judith Marie (Anderson) Hanson was born on June 2, 1947 to Ernest and Sophie Anderson in Hayward, WI. She grew up there and graduated from Hayward High School in 1965 before becoming a Certified Nursing Assistant and working at Valley Nursing Home in Hayward for more than 20 years. She married LeRoy Hanson, Jr. on October 11, 1969. Together, the couple had one daughter, Tracy, and lived in Hayward. 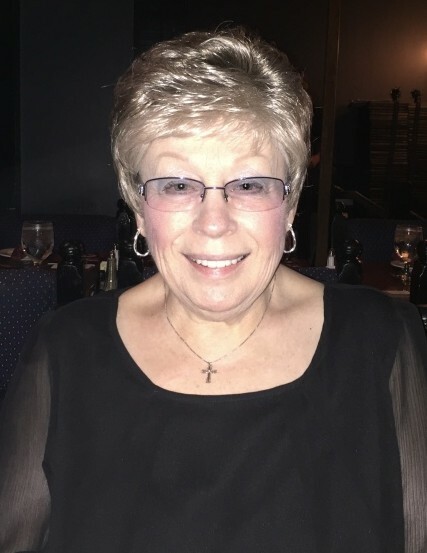 Judy’s career as a CNA served her well when she retired early to care for her husband after he was critically injured in an automobile accident. Her loving care enriched Lee’s life for more than 30 years until his death in 2017. Judy’s affection for her family and friends was evident to all who knew her. She was a woman of faith who always put others before herself. She was known for her kind spirit and gentle heart. More than anything else, Judy loved being a grandmother to her three grandsons and took every opportunity she could to be a part of their life. Judy moved to Owatonna in 2017 to live with her daughter, son-in-law and grandchildren as she battled cancer the last 14 months of her life. Judy finished the last two weeks of her cancer journey at Homestead Hospice in Owatonna, where she passed peacefully with her daughter at her side. She and her family are deeply grateful for the care and kindness she encountered along her journey. Judy is survived by her daughter Tracy (Dan) Ruiter and three grandchildren, Brady, Bretton, and Jack Ruiter, all of Owatonna, MN. Judy is also survived by her father-in-law, LeRoy Hanson, Sr., and mother-in-law Beverly Hanson, both of Superior, WI, along with many other family members and close friends that have touched her life. She is preceded in death by her husband, Lee, as well as her parents.